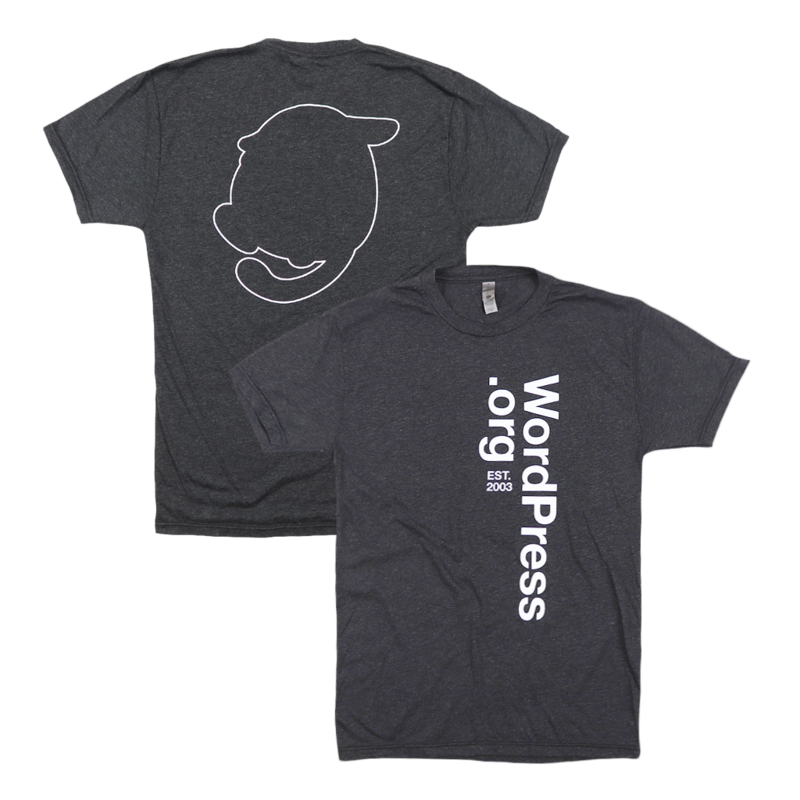 Design has always been integral to WordPress, from the birth of the wp-design mailing list in 2005 to today. 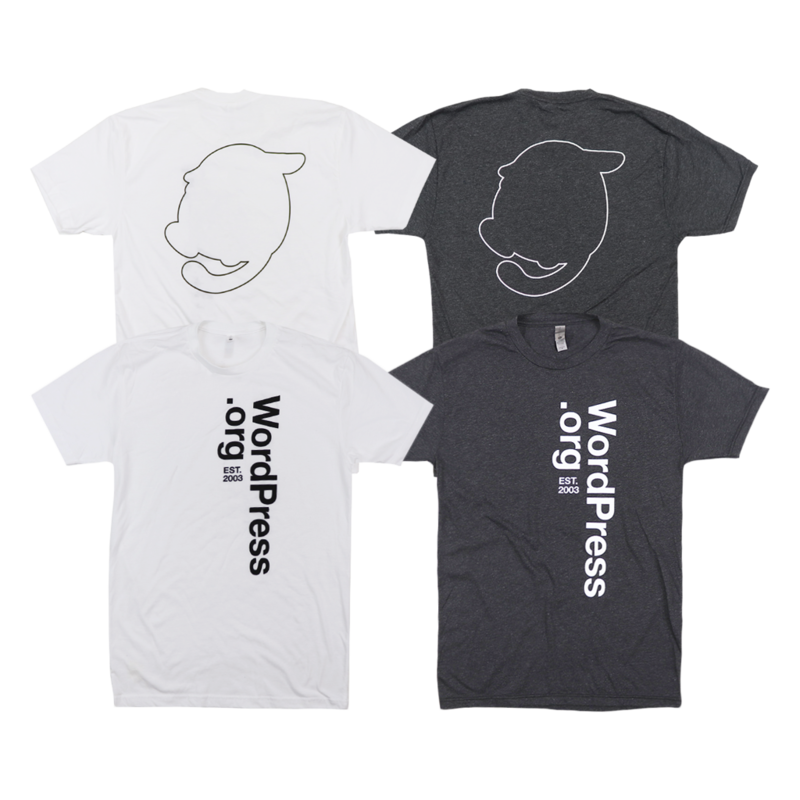 This simple typographic t-shirt celebrates design in the WordPress community. Designed by Kjell Reigstad, it pays homage to the classic International Typographic Style. 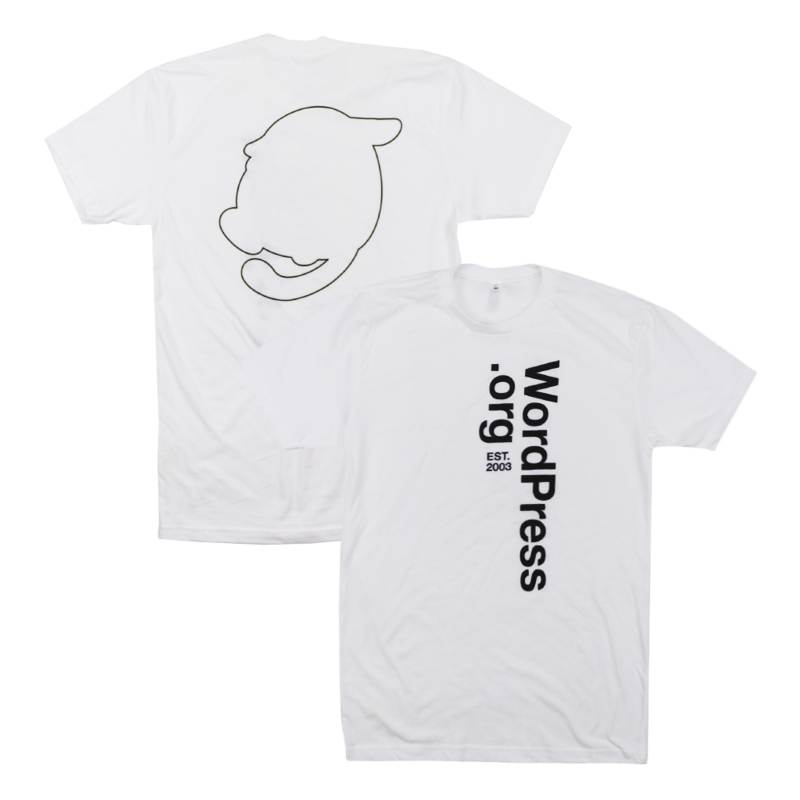 The text is set in Helvetica Neue 75, and the back features a minimalist outline of Wapuu.